Well today I thought I would share with you some up and coming dates of vintage fairs that some of my lovely readers have emailed me with. I have lots of date but I will do a few months at a time so they are not forgotten. All Things Vintage and Lovely show. (no times given!) aim for 10am and I am sure it will be open. A vintage packed weekend with 80 plus stalls. There is a make do and mend workshop. Classic cars for the fella's. Brocante market and lots more. no times given.... but I always aim for 10am. Vintage and antique textiles and lots more. Well readers that should keep you all busy for a while this summer! I will be going to some of these. If there are any more in your area, even if you are not in England, let me know. I have readers all over the world and it would be lovely to have something for everyone on here. On the homepage you can email me with details. 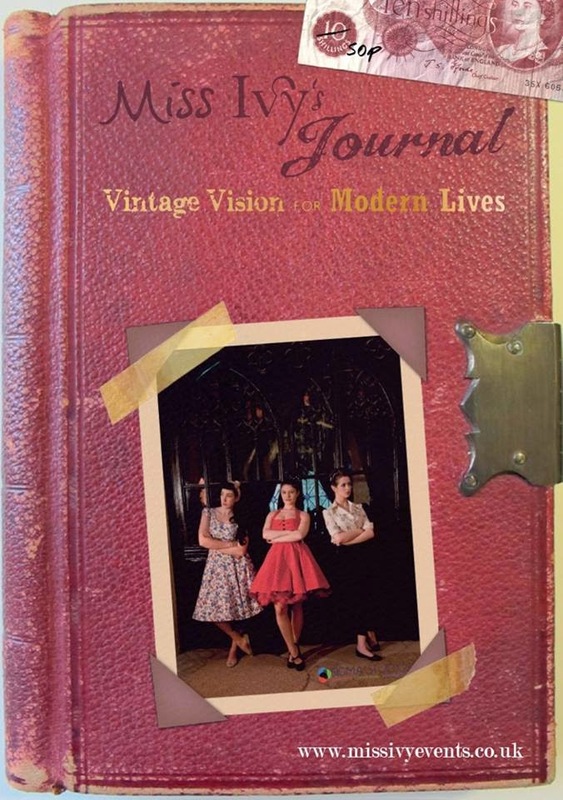 Also look out for this NEW vintage booklet.... Miss Ivy's Journal, below is the first addition which is out now. There are dates for your diary included and articles on vintage businesses and in this addition a vintage lovers guide to Totnes.... and so much more. It is distributed all over the South West. Well worth looking for and picking up... This is a great vintage read. Miss Ivy's journal has a facebook page too. There will be more on this journal on my blog and I believe they are going to be quartley. Second addition therefore you will have to wait until August!! something to look forward to. Well I must away and start my embroidery and stitching. Whatever you are all doing today have a wonderful day.